Tall, Loud and Proud – Aman is an award winning Real Estate Agent. Since 2004 he continues to successfully represent his client’s best interests when selling and buying real estate. 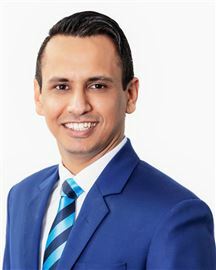 With over a decade of experience managing high value real estate transactions and projects, his reputation for transparency, precision and effectiveness precedes him. Well versed with extensive knowledge of his sector, he is truly a master at developing far reaching strategies and delivering exceptional results. Compassionate in nature and ethical in his approach, Aman is direct, honest and enjoys being trusted. He provides selfless advice which is always backed by risk analysis. He likes to stick to his numbers and in turn his clientele reaps the reward of his strategic forward thinking. 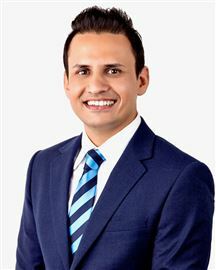 Aman is known for developing sincere friendships with his clients. This has resulted in a large following of trusting vendors and buyers. Aman specialises in making large projects bankable. His projects are always exclusive and one of his core beliefs is "Skill is not selling a property by marketing it, skill is selling real estate when no one knows about it." He holds a bachelor in Applied Science Computer Info Tech and is married to Sophie Pannu, who manages both him and his business. Harcourts Milestone is both Sophie and Aman’s aspiration. My most valuable assets are my willingness and energy to help others. Loyal & Dedicated, I have a passion for the area I live and work in. Graduated from MIT Auckland with a Bachelor degree in Information systems, I love to grow and I’m constantly looking for ways to learn, not just about my business, but also about life. As for the Real Estate Industry, while keeping up to date on all the things related; I prefer to know my clients and their needs. This helps me in finding the right property for them and they often find a friend in me. In a bigger picture; I am part of a small team that believes in being persistent, tenacious, apparent, honest, transparent, and diligent in finding solutions especially when none exist. Our specialty is making large projects bankable, and because majority of our clientele is referral based we end up selling existing houses as well. “I don’t sell !!! However, with my passion & integrity, I just help people find solutions which impact their lives positively” Moving into real estate via a diverse career path spanning top echelon security services, IT recruitment, corporate communications and social media management equips Jeet with a range of skills tailored to take your property aspirations to a new level of excellence. 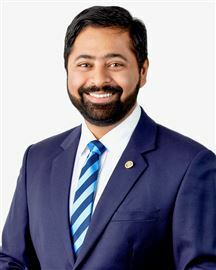 Having already listed and sold properties, Jeet has impressed both colleagues & clients with his fast assimilation of information, market insights and on-point campaigns that stimulate buyer inquiry & activity. 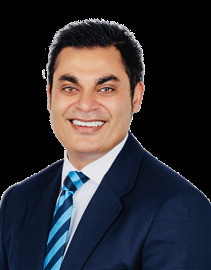 Jeet’s can-do attitude is underscored by a genuine desire to get the best deal for his clients on each and every transaction and undertakes to represent your property interests as if they were his own. 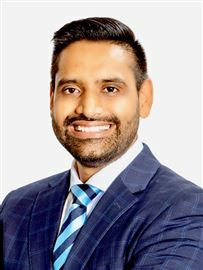 Coming from India in 2015 and fluent in Hindi, Punjabi & English, Jeet has an empathy for newcomers to New Zealand and is well-placed & experienced to advise on all aspects of buying, selling and investing in the Southern market. Talk to Jeet whether you’re a nervous new buyer needing advice on a first home, a veteran investor re-shuffling the portfolio or simply want a no-pressure discussion on how to make your home market ready. Entrust your families most prized possession with an agent whose got your back covered. I see real estate as a people’s business, first and foremost. It's about people, their hopes and dreams. As a client, you will benefit from my "customer-first" approach and that's why I work extra hard to keep my clients informed, and to make the process as smooth as possible. 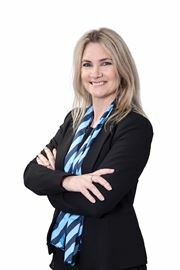 After graduating from the University of Auckland with a degree in Information Technology, I pursued a career in software engineering and eventually became a senior software engineer, managing a variety of projects from concept to conclusion. I've always had a passion for real estate, even though it wasn't my first career. I have a strong commercial acumen and a passion for helping my clients succeed. I don’t hesitate to "roll up my sleeves" and do whatever it takes to get the job done. When I'm not helping my clients, I enjoy a variety of activities including reading, boxing, hiking, and spending time with friends and family. If you are ready to celebrate a new milestone - an upgrade, a downsize or maybe a change in portfolio, then we need to talk! Sherry has a motivation to succeed that drives well beyond a mere desire for personal success. He strives to connect with people, act upon their best interests and astutely negotiate to optimize results. Clients working with Sherry can expect to work with a dedicated, friendly and thorough agent, who will always listen to his clients' needs and concerns and represent them to the best of his ability. 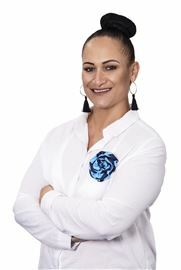 Graduated from MIT Auckland with a Bachelor degree in Information systems, vastly experienced in customer service and completely client-focused, Sherry will strive at all times to provide the highest level of service and will always ensure that his clients are well-informed and comfortable in the decisions they are making. You can rest assured with Sherry you will receive step by step instructions with top quality and professional service for the sale or purchase of your property. Kia Ora I have come from a long an successful career in Midwifery Health Care. But like my family who have worked in Property most of my life it was only inevitable that I would eventually pursue a career in Property Management and I am now very proud and passionate about my new career. I'm very fortunate to be very experienced working with many different people from all walks of life and have developed excellent people skills. I understand the commitment required to get the job done with the least fuss and hassle for everyone and ensuring clients are always informed of processes involved with managing what could be their biggest asset. 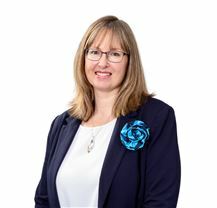 I am committed to providing the highest level of service to my clients including being kept well informed and up to date with legislation and major changes to the industry. I pride myself on my work ethic providing fast, efficient, friendly service. The many satisfied clients I have helped assure me that my approach works well for them. I enjoy working with people and I am proud of my achievements thus far. I am always happy to help prospective investors to ensure they get the best return and management service. If you have any queries at all please call Renee anytime for a no obligation chat about your rental portfolio. Urgent Sale - Make an offer! Masterpiece - Without a Doubt!